Affiliate links linking to products we love may be found within this article. For more info, please check our Disclosure page for more explanation of affiliates and sponsorships. Front Royal, Virginia sits in the beautiful Shenandoah Valley and at the North and South forks of the Shenandoah River. It’s known as a wonderful base for enjoying the outdoors, but there’s also something special happening in and around the historic downtown. We were lucky enough to visit and fell in love with this quaint little town. Here is our guide to a weekend there, as well as fun things to do in Front Royal, with some other fun facts sprinkled on top. This guide to weekend things to do is also featured on our Front Royal page! Final Thoughts and Yours, Too! We enjoyed our time at Holiday Inn & Suites by Blue Ridge Shadows Golf Club, especially in the mornings when the sun would come up. Having a view of the golf course below and the mountains in the distance was a nice start to our days in Front Royal. If you can’t get in there, a Hampton Inn isn’t too far from town, either, and is always a good option when you’re traveling. 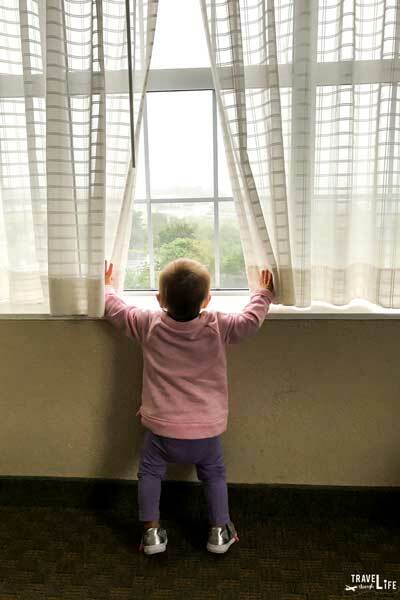 Lackawanna B&B is also highly rated if you’re searching for something even closer to Downtown. We hope you enjoy these fun things to do in Front Royal. 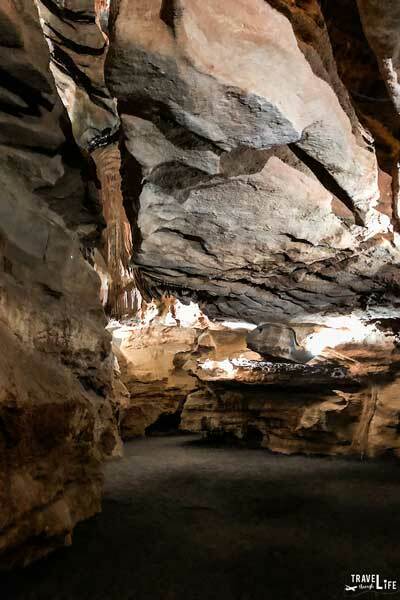 Travel deep down in the Earth with a visit to Skyline Caverns, believed to be 50 to 60 million years old! Tour the caverns and see rare geological Anthodites, which are rare unusual forms of crystals. 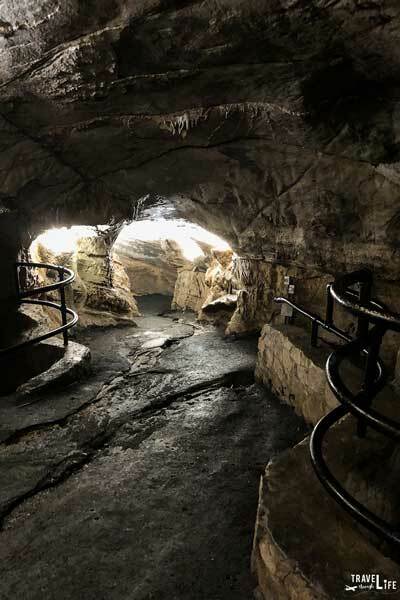 Reach as far as 260 feet below ground while exploring only 20 percent of the caverns during an hour-long tour. Don’t expect anything sudden to happen, but Skyline is a young cave and is still considered to be growing. If you are heading to a Front Royal Cardinals baseball game, then you may recognize the name of the stadium, Bing Crosby Stadium. Crosby raised funds for the construction of the stadium by having the world premiere of his film, “Riding High” in front of the original stadium in 1950. Since 1984, the Cardinals have played here, and you can catch them playing in the college-level Valley Baseball League during the summer. Whether you’re a wine connoisseur or a brewmaster, Front Royal has both! 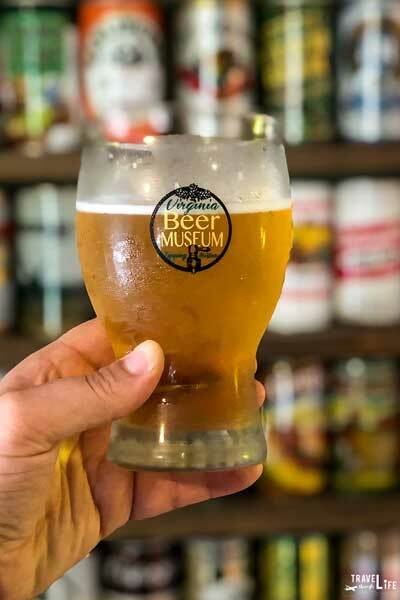 Learn about Virginia’s 400-year history with beer at the Virginia Beer Museum. There are some pretty cool exhibits throughout the house on Chester Street and you can grab a beer from the Hell Town Saloon that’s on the first floor. You can also hop on the Shenandoah Spirits Trail to taste a sampling of Virginia wineries, distilleries, breweries, and eateries. 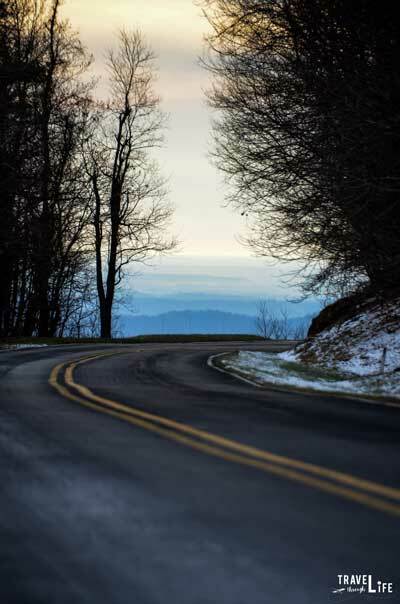 A trip to Virginia is not complete without cruising down Skyline Drive, which connects to the Blue Ridge Parkway at its southern terminus. Spanning 105 miles from along the Blue Ridge Mountains, Skyline Drive is the only public road that is in Shenandoah National Park. Front Royal is where the Drive begins at the north and is a convenient starting point to see beautiful mountains, gorgeous foliage, and wildlife! Begin exploring the Shenandoah Valley in Front Royal. 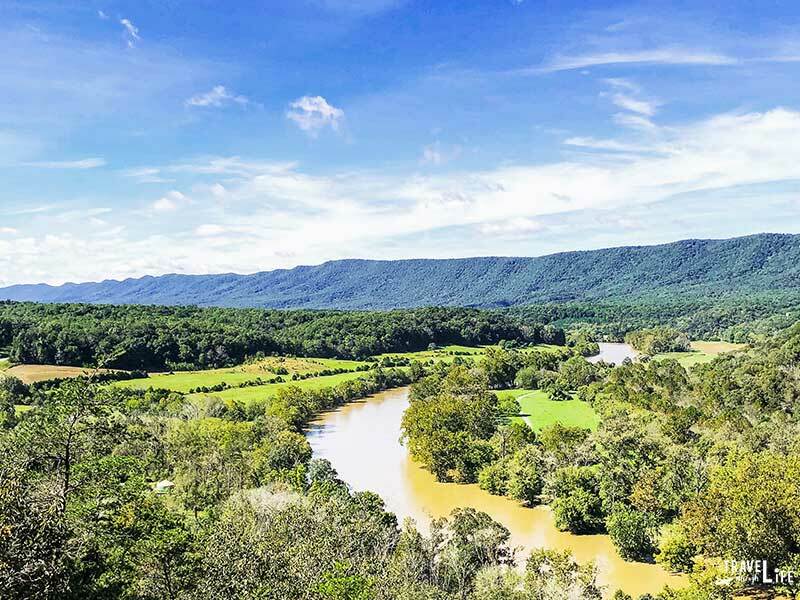 There’s everything from the easy—park and view Culler’s Overlook in Shenandoah River State Park—to the more challenging, like ziplining the Valley. Beyond Front Royal, the Shenandoah Valley extends as far north as Harpers Ferry, West Virginia and goes all the way south to Roanoke in Southwestern Virginia. Along the way, you’ll find cool towns like Winchester, Harrisonburg, and Lexington, which are all a short drive away from Front Royal. Battle of Front Royal Driving Tour is another option for history buffs! Drive along and follow the progression of the battle where General Nathaniel Banks sent 1,000 men to Colonel John R. Kenly to guard the railroads of Front Royal. There are ten stops along the way, starting at the Front Royal Visitors Center and ending at Fairview, about five miles away. For more info about Front Royal’s Civil War history, check out Three Days in the Shenandoah: Stonewall Jackson at Front Royal and Winchester by Gary Ecelbarger. 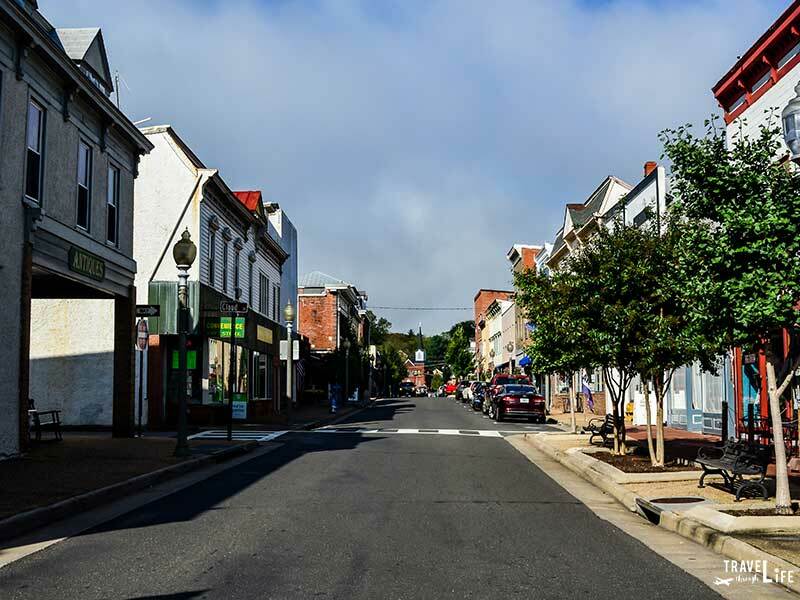 Front Royal is known as Virginia’s Canoe Capital, with the beautiful Shenandoah River surrounding Downtown and cutting through the middle of Warren County. Hop in a canoe via a local outfitter like Downriver or Front Royal Outdoors and laze away the days floating down the crystal-clear waters of the Shenandoah. There’s a pretty nice food scene in Front Royal, as we found while walking around Main Street and beyond. We’ve included these places to explore Front Royal via your belly as some of our favorite things to do, so don’t judge us! Gluten-free goodness to go with our coffees at Happy Creek. Loved Daily Grind’s Bulletproof Coffee and breakfast! 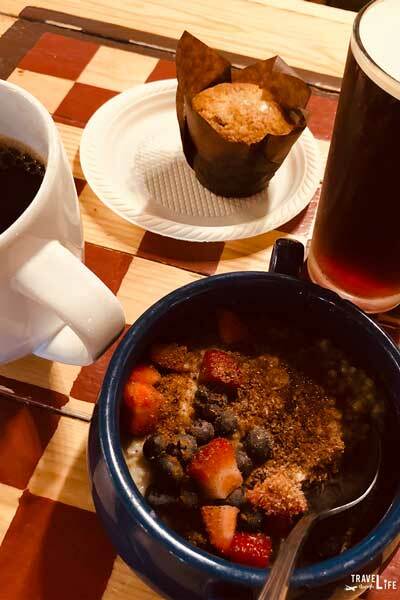 Start your morning off with some locally roasted coffee or brewed nitro cold brew at Happy Creek Coffee & Tea! Everything in the restaurant is gluten-free and they even have an eatery right around the corner! 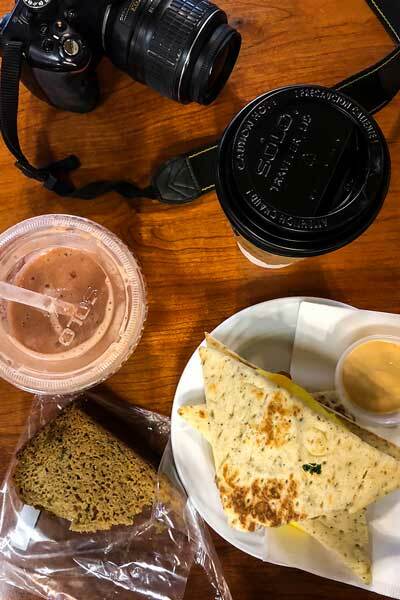 We also recommend stopping by Daily Grind for a smoothie or a bulletproof coffee! Their dessert selection is also incredible and worth grabbing for your day of adventure! 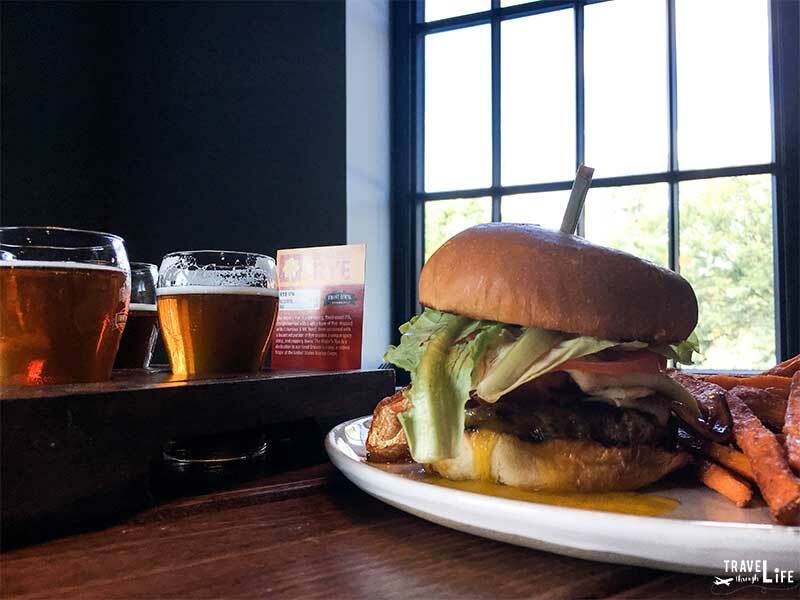 Burger and Beers FTW at Front Royal Brewing Company! Ever eaten in a renovated 1920s parking garage? Well, you can at Front Royal Brewing! Brew Master Tim Arndt and Chef Megan Bwenson have teamed up to create a menu and beer selection that pairs well throughout any day. We interviewed Tim to learn more about this awesome place. 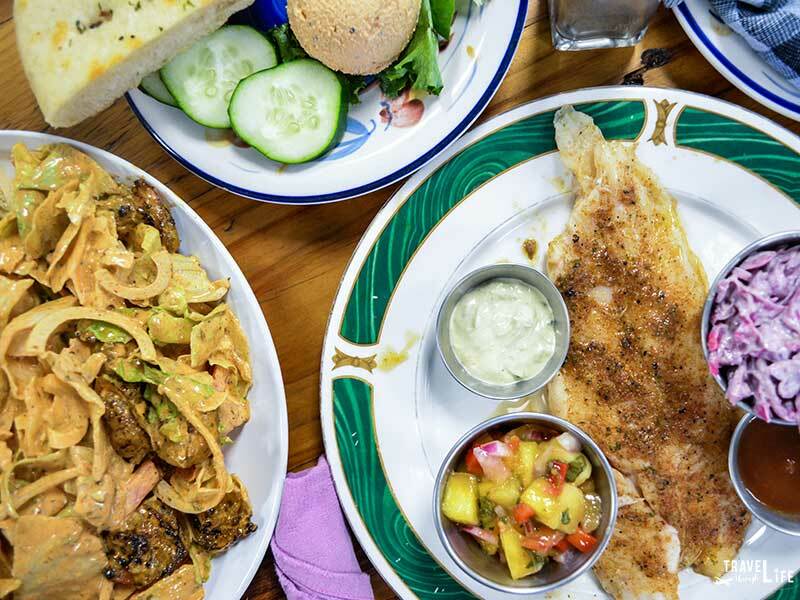 Also, head over to Chester Street and walk into Blue Wing Frog, where you’ll learn that “you are what you eat, so don’t be fast, cheap, easy or fake!” Everything at Blue Wing Frog is made from scratch and comes from people the owners know. The food at Blue Wing Frog is pretty, but also made with so much love! We had the pleasure of speaking with some of these local business owners and can’t wait to share more about them in the coming weeks! Stay tuned. What’s your favorite topping? Ours is all of them! 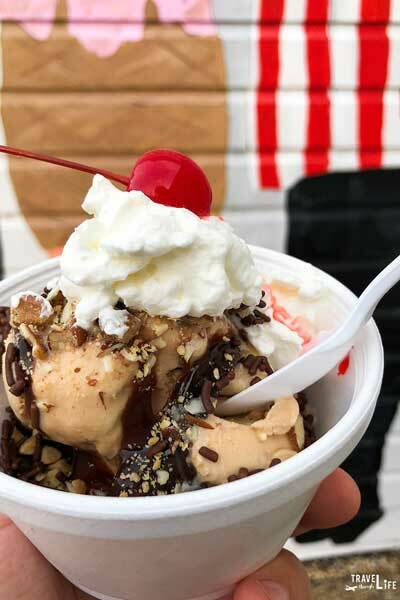 Don’t forget about dessert at C & C Frozen Treats (Facebook), where you have to go with someone you know so you can share multiple flavors of their ice cream. However, one local chef said we had to try their Italian ice, too, which was amazing! Now, you have to bring three people. 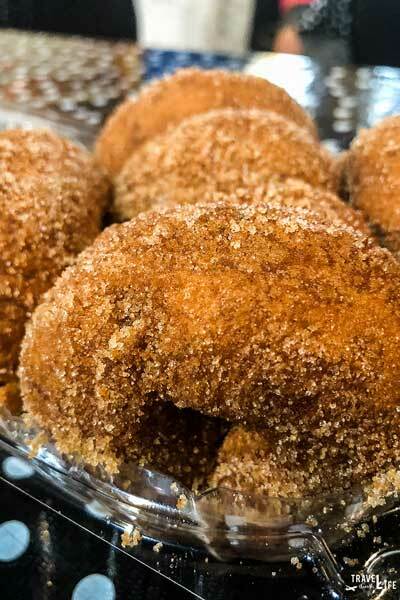 Barbecue sandwiches from Linden’s Apple House (Website/Facebook) should move it into the “Restaurants” category, but their Apple Butter Cinnamon Donuts have been keeping people happy for more than 50 years. Oh, and the Apple Shop definitely made us happy until we realized there were no more left to eat. Wineries are some of the best places to visit in Virginia and Front Royal has some worth mentioning. Glen Manor Vineyards produces award-winning wine in a setting that sets the tone for relaxation and getting away from the outside world. 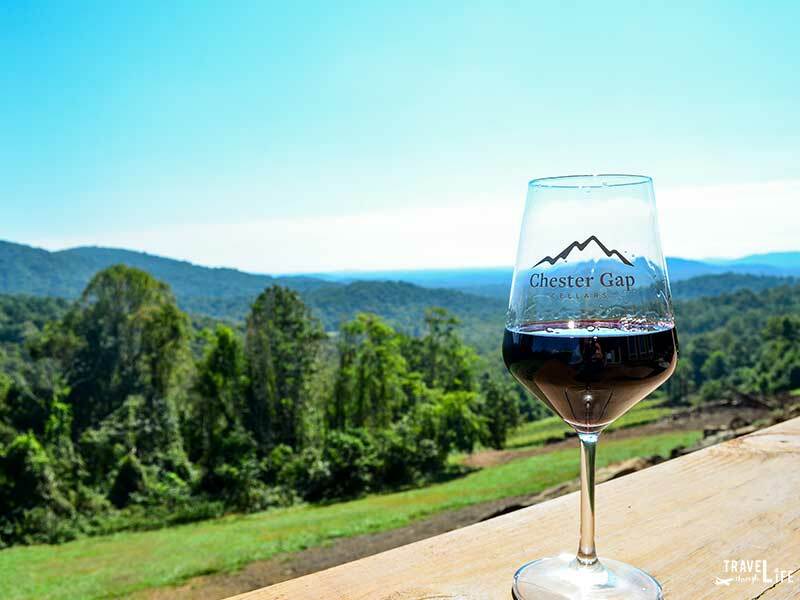 Chester Gap Cellars (Website/Facebook) is a bit smaller but hosts epic views of the mountains in the distance from its tasting room windows, porch, and seating area on the lawn. Downtown Front Royal even hosts the annual Virginia Wine & Craft Festival in May, so keep an eye out if you’d like to come and check out 20 wineries in one location. We’re big fans of this small town and hope our friends will come to explore it someday soon, too! 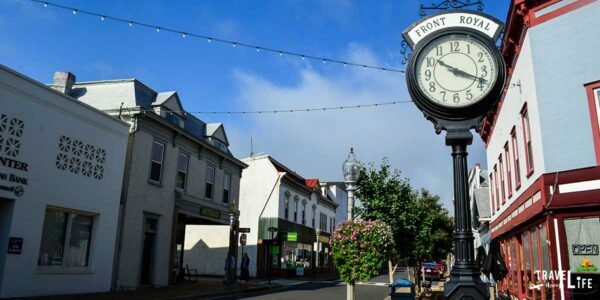 Front Royal is perfect for day trips from DC, as it’s only 76 miles west of our Nation’s Capital. That means Front Royal is also close to Baltimore and other spots along the Beltway. For friends of ours in the Triangle and elsewhere nearby in North Carolina, Front Royal is about 4-1/2 hours away, which is great if you’re looking for a spot to spend your weekend away from the hustle and bustle of I-40. If you’ve ever been to Front Royal, we’d love to know what you enjoy doing here? If you’ve never visited, what would you check out first? Either way, we can’t wait to keep the conversation going in the comments section. This guide is part of our series on USA Travel and Virginia Travel. It was originally created on October 10, 2018. It has been maintained and updated (as of December 30, 2018) on our blog to reflect current viewpoints and travel destination trends. Special thanks to The Town of Front Royal, Va for providing us with complimentary accommodations and meals at various Front Royal restaurants. All opinions within this article are our own. Christina is an accidental photographer who also dabbles in writing about her life in North Carolina and travels beyond the Tar Heel State. Spent a few days at the 4-H Camp there back in high school and passed through on the Interstate a couple of times. Certainly looks like I need to go back and really take a look around. Wow, bet that was a fun camp. Front Royal is beautiful. Can’t wait to go back, myself, and hope you can make it, too. Thanks, Clayton! Great idea! We’ll be sure to play a round next time we’re in Front Royal! When it comes to Civil War battles, you forgot to mention that this is where the two opposing volunteer units from neutral Maryland faced down each other…the origin of Brother vs. Brother. Very sad, but historic. Wow! That’s definitely an interesting piece of history to Front Royal! Thanks for letting us know! Don’t forget to visit the Fireball Arcade at 218 E. Main Street, just up the street from the clock! An 80’s themed pinball and video game arcade. We love a good round of pinball! Sorry we missed you! We’ll be back again, so be on the lookout for us! What about Backroom Brewery, in Warren County just 10 minutes north of Front Royal? 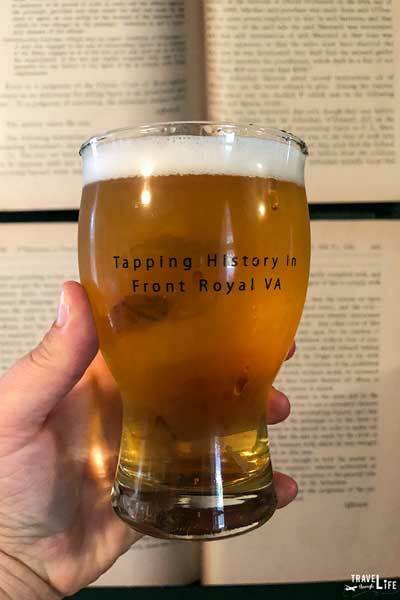 It’s Virginia’s first farm brewery http://www.backroombreweryva.com. Oh no! Sorry we missed it. We’ll have to come back and take a look. Thanks for mentioning the local arts! So glad you enjoyed you time in Front Royal! Hope you come back through and visit us at Strokes of Creativity Artist Boutique and Studio. Our grand opening was last Saturday Oct. 6th. We are a collective of 15 local artisans and we are growing. In addition we are a working studio, so you can see us creating art and even join in:). Front Royal is a wonderful place, indeed! We will definitely have to come back and check out your studio. Thank you for sharing and best of luck to you post-launch! Carl is the writer and Christina is the photographer. Affiliate links linking to products we love may be found in our articles.